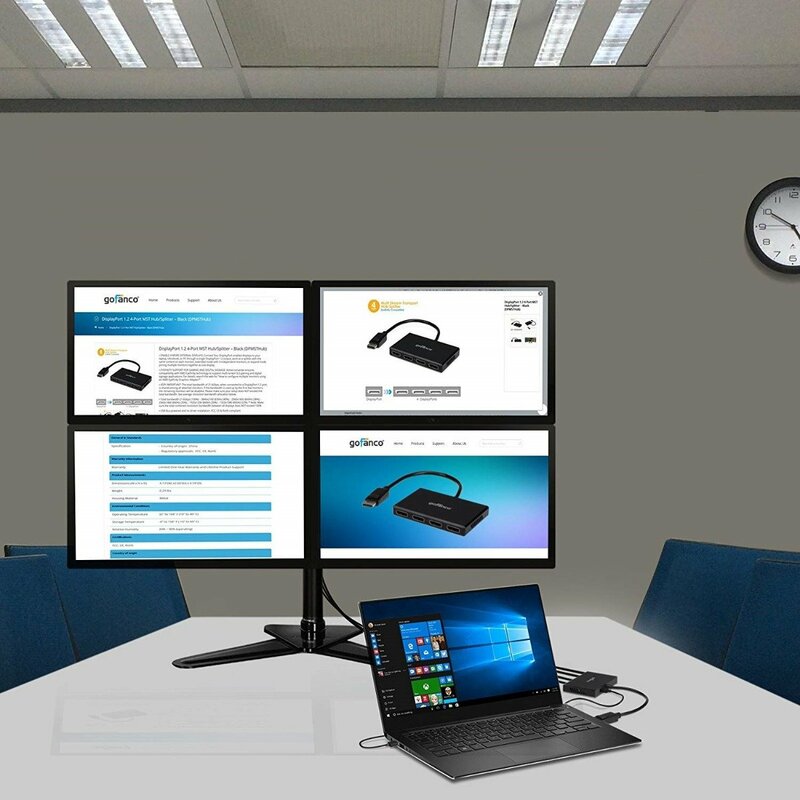 With the introduction of new devices with fewer ports, MST has become a beacon of hope for users looking to utilize multiple external monitors in their setups. 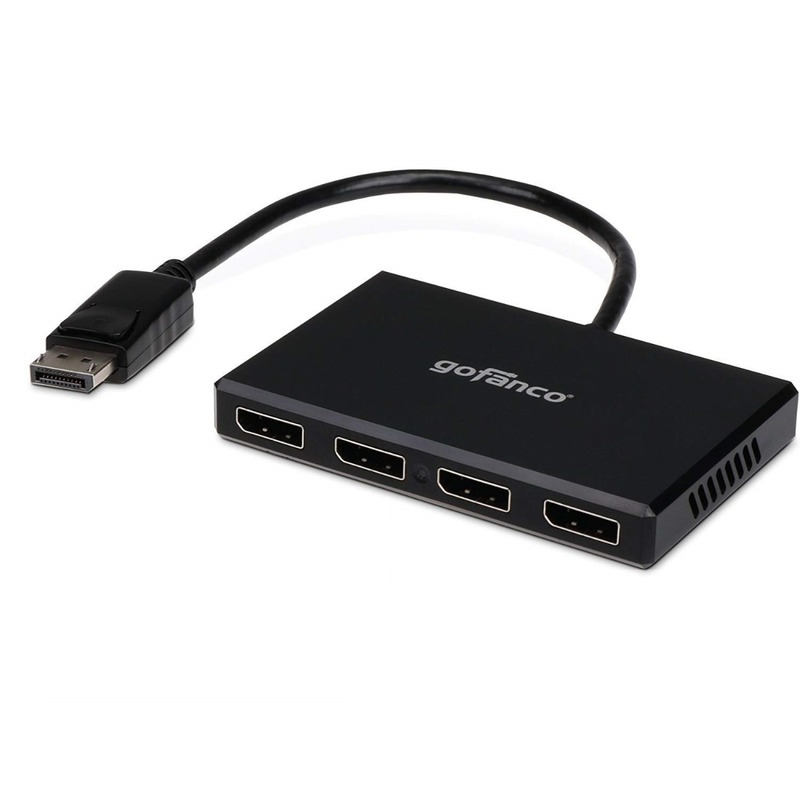 DisplayPort v1.2 (introduced in 2009) gives users the ability to utilize MST functionality which was developed by VESA. Being able to view multiple applications is crucial to work productivity and multitasking. MST allows users to view multiple excel sheets, browser windows and emails through multiple external displays. MST functionality can be used in two different ways: through an MST hub or Daisy-Chaining displays. An MST hub configuration utilizes an external MST hub which is connected to a single DisplayPort v1.2 on your source device. The MST hub has one input and can have up to 4 outputs. The MST hub will take the incoming video from the source device and distribute it to the external displays. The external displays will show up separately and you can arrange the displays into different configurations depending on which graphics card software you use. 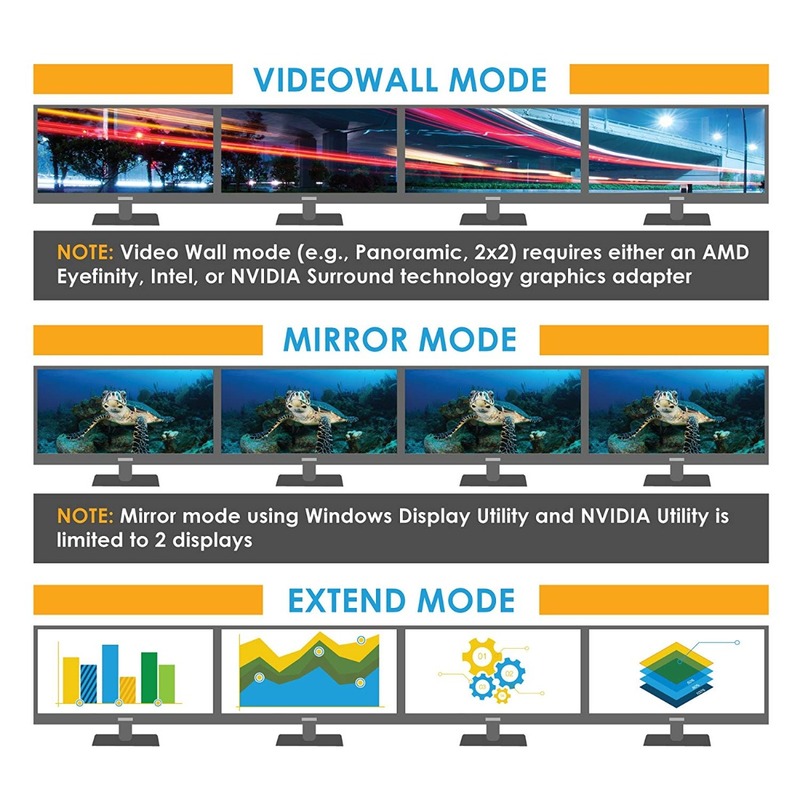 If you are using software such as AMD Eyefinity and Nvidia Utility, users can configure their displays into extended, mirror and video wall modes. Users should always check with their graphics card to see how many displays it will support and if the graphics card supports DisplayPort v1.2. Mac OS currently does not support MST function. Daisy-Chaining with MST requires the displays to have MST functionality built in which would have one DisplayPort input and output. The term “Daisy-Chaining” refers to connecting multiple devices together through a single DisplayPort 1.2 cable. Using this configuration will lead to less cable clutter and your source device should recognize each display separately as if each monitor was connected through their own port. Video wall mode lets users combine all of their external displays to act as one huge display. This mode can be used to arrange the displays into a vertical, horizontal or 2x2 configuration. The video wall mode is extremely eye-catching and great for digital signs, billboards, airports, hospitals and financial institutions. This mode is great for wowing customers and crowds with a marvelous looking display.Extended mode allows users to show their PC’s desktop across all of the connected monitors, while having different applications open on each display. These displays will still be considered as separate displays but users can move windows and applications throughout each display, which is great for multitasking. Extended mode can help users with their productivity by giving users the option of working on multiple projects at the same time. Mirror mode will show the same image on each of the separate external displays. This mode is especially useful for video presentations, in-store advertisements, airports and trade shows. Extended mode allows users to show their PC’s desktop across all of the connected monitors, while having different applications open on each display. These displays will still be considered as separate displays but users can move windows and applications throughout each display, which is great for multitasking. Extended mode can help users with their productivity by giving users the option of working on multiple projects at the same time.